After nearly a decade, Son Cubano, the Cuban hot spot in the Meat Packing District has relocated. The cobble stone area was left dry of ropa vieja and ceviche for a few months, but a new Cuban 24 hour restaurant has emerged. 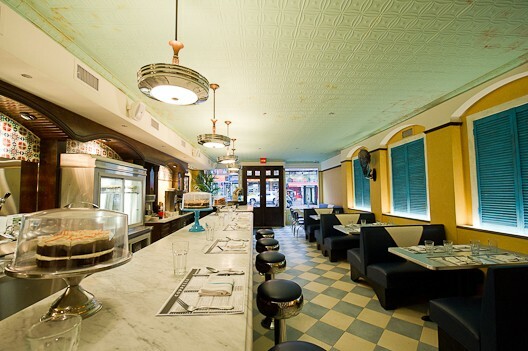 Coppelia, a 24 hour Cuban diner opened on April 4th on 14th between 7th and 8th avenues. Chef Julian Medina (Yerba Buena and Tolache) opened this luncheonette to feel like you’re truly in Havana. The walls are painted yellow and colorful blue tile backsplashes. and crafted a menu full of Nuevo-Latino comfort food. With only 70 seats, the space is small and cozy. On opening night, the blue shiny banquettes were full with 20-something’s chatting over fish tacos, beef nachos and arroz con pollo. 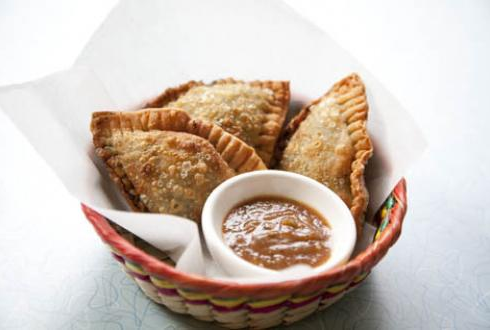 “It’s very cool how they’ve taken the classic American diner concept with comfy booths and bar stools and out a Cuban twist on it,” said Evan, a 24 year old native New Yorker munching on ropa vieja and cheese empanadas. Like the typical American diner, breakfast is served all day like, huevos rancheros and blue corn meal pancakes. Though they don’t have the spinning display, pastries are also a highlight of the menu. Deserts include chocolate dipped churros and tres leches torrijas. 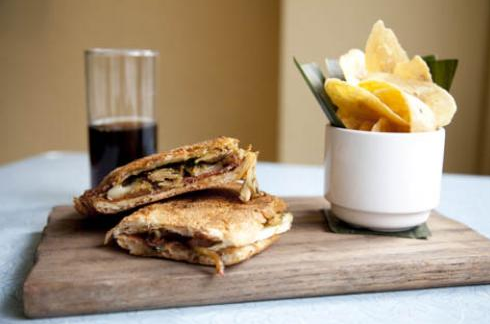 When I went for dinner, I enjoyed tilapia tacos, cheese croquettes, ropa vieja and obviously, a Cuban sandwich. The food was fresh, hot and service was impeccable. The best part about the experience was the waiter that was able to explain all the different ingredients to me and help to pick things with compatible flavors. Unfortunately I was too full for desert, but am looking forward to my next meal at Coppelia. Open 24 hours, there is always something for someone to eat, despite the time. The food is fresh, unique and in an area of Manhattan rich with nightlife and culture. Until my next trip to Cuba (I wish), I will be at Coppelia to fix my Latin taste buds. I am an aspiring reporter covering the worlds of fashion, art, entertainment and culture -- live from NYC.